I’m sitting here watching the Fox Soccer Channel preview show and my advice to the guys running this program is to change the commercials every once in a while. 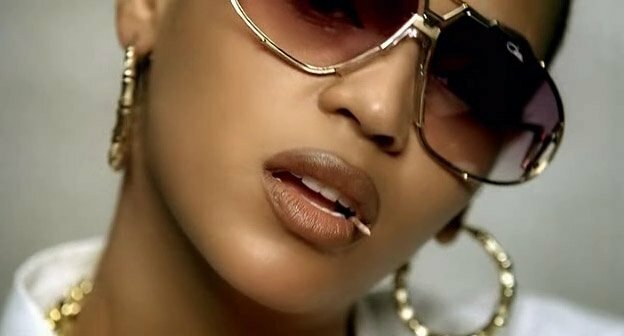 The Beyonce “Lemme Upgrade You” commercial is mind bogglingly annoying the first time you hear it, has the ability to cause existential dread the 10th time you hear it, but if you hear that commercial more than once in an hour it actually has the ability to rip space time and unleash unspeakable horrors upon mankind — according to 3 of 4 professors in a Miskatonic University study. And the beasts that she has unleashed? Adebayor, Nasri, and Sagna are all fit and ready to maul the Chelsea back line. This is great news, but only if the Nasri who played against Man U shows up, if his doppelganger shows up we could get the type of game we saw against Man City. The other beast that Beyonce had unleashed upon the world is Abou Diaby, hopefully he doesn’t kick John Terry’s head clean off tomorrow. Proving that Beyonce’s powers warp all of space time, Wenger has shocked the world by saying the same thing that I said back in September; given that Cesc has played over 200 games he can’t really be called “inexperienced.” You can’t just count the number of games but look at the quality of the games as well; cup finals, Champions League campaigns, Euro 2008 champion, etc etc. With all those quality games under his belt, Wenger sees him as a 26 year old instead of “just” 21. Right, which is why I was saying that he’s not really captain material; any player with any leadership quality who has that number of games under his belt should just naturally step up and be captain de facto. Oh well, it’s all moot now isn’t it? He’s captain de jure. Not everyone can be Flamini, I guess.